In early January, Jet Airways and its main lender, State Bank of India, met with aircraft lessors to assure them there was a plan to rescue the debt-laden carrier so it could pay them, sources familiar with the matter said. At one point, the airline's usually jovial founder and chairman, Naresh Goyal, banged his fist on a table, jarring some of the lessors who had flown to Mumbai from Dublin, Singapore and Dubai, said one person who attended the discussions. "That meeting went horribly wrong," recalled the executive from a global leasing firm, who did not want to identified because the meeting was not public. Goyal's emotional outburst and Jet's subsequent failure to pay up as promised may have pushed the relationship between the airline and its lessors to a breaking point, two other executives who were at the meeting said, prompting some to take the drastic step of pulling their planes from its fleet. That has led Jet, which blazed trails in one of the world's fastest-growing air travel markets, to cancel hundreds of flights. Saddled with more than $1.2 billion in debt, and with dwindling revenue, the airline has said it also owes money to banks, pilots and suppliers. Jet did not respond to multiple requests for comment but has said it is "actively engaged" with all its lessors. Goyal did not respond to requests for comment. 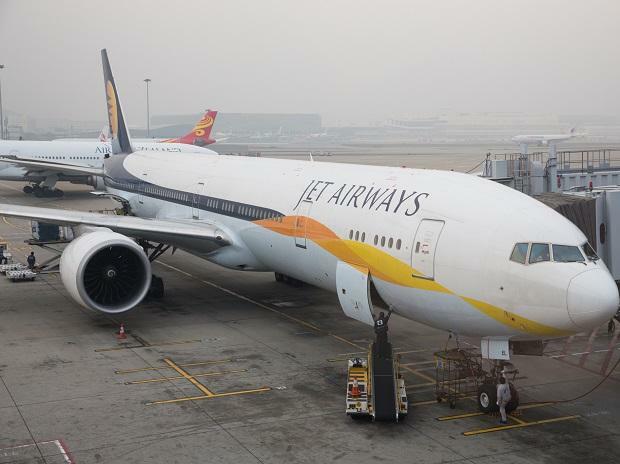 "Aircraft lessors have been supportive of the company's efforts in this regard," Jet said in its most recent statement to the Mumbai stock exchange on April 2. About 60 percent, or more than $600 million, has been wiped off Jet's market value over the past year. Now, with the airline's running out of ways to make money, state-run banks, led by SBI, took a temporary stake in Jet, promised a new loan of 15 billion rupees ($216 million) and forced 69-year-old Goyal to resign as chairman. On Monday, Jet's lenders laid out terms for potential bidders to buy up to 75 percent stake in the carrier. Expressions of interest are due on Wednesday, with final bids due on April 30. But lessors remain concerned, and some, such as Avolon, SMBC Aviation Capital, Aircastle and a subsidiary of Mitsubishi Corp, have asked India's aviation regulator to de-register a combined 18 planes, according to the regulator's website. "Despite Goyal's departure from Jet, lessors don't seem to think the carrier can be rescued, judging by the urgency in repossessing aircraft," said Shukor Yusof, the head of aviation consultancy Endau Analytics. "How we do business with Jet in the future will depend a lot on the new investor and how they manage the relationship," said one of the executives who was at the January meeting. Aercap Holdings, GE Capital Aviation Services, Avolon and BOC Aviation are among the big lessors grounding Jet's aircraft, leasing and industry sources say. Aercap, Avolon and BOC Aviation declined to comment. GE Capital Aviation Services said Jet was a long-standing customer and it remains in regular contact with the airline. The humbling of one of India's most successful international brands illustrates the challenge of making money in the country's aviation sector, dominated by low-cost carriers such as IndiGo and SpiceJet Ltd. The Indian market is also highly price-sensitive, and airlines compete to keep fares low, even at a loss, to continue expanding. The domestic market has seen around 20 percent growth in the number of passengers over the past few years. Carriers including IndiGo, SpiceJet and Vistara, a joint venture between Singapore Airlines and Tata Sons, have over 1,000 planes on order from Boeing Co and Airbus SA. "India's aviation market is cut-throat and it is survival of the fittest. One needs not only deep pockets but a deep threshold for pain," said Yusof, adding that lessors will still seek business in the country despite the inherent risks. When India's Kingfisher Airlines went bankrupt in 2012, lessors were forced to write off millions of dollars in losses and thousands of people lost their jobs. When Goyal and his wife, Anita, started Jet in 1993, state-run Air India was the only formidable opponent, and the country's aviation market was just taking off. Goyal's pitch was ensuring the country's biggest private carrier had impeccable service - a world-class product built in India, industry executives said. Jet's problems began when it embarked on an aggressive international expansion plan, said an industry executive who has been associated with the airline. The carrier ordered 22 wide-body aircraft for delivery over about 18 months, starting in 2006, depleting cash, the executive said. Then Jet bought a struggling Indian airline called Sahara for 14.5 billion rupees ($209 million) in 2007 that had an ageing fleet and did not fit Jet's corporate culture, the industry executives said. Meanwhile, a newcomer, low-cost carrier IndiGo, had begun chipping away at Jet's market share with cheap fares, one of the executives said. In 2013, Jet was close to running out of cash, but survived collapse when Abu Dhabi's Etihad Airways bought a 24 percent stake in the Indian airline. As part of the deal, Etihad also bought three pairs of Jet's landing slots at London's Heathrow airport and 51 percent stake in its frequent flyer program. To compete with low-cost carriers, Jet has lowered prices without reducing its expensive services. High fuel prices and hefty taxes have compounded the spending issues, industry executives said. Goyal, however, said in a statement last week after stepping down that the airline will "regain its rightful place in the company of global greats." Goyal's penchant for control, which helped him build the airline, has been a stumbling block for potential investors. Tata Sons was in talks with Jet in November for a deal that never materialised, sources have said. Etihad has also been reluctant to increase its stake in the carrier for similar reasons, sources have said. If no suitable investors turn up at the auction, lenders will pursue alternative plans, they said, without specifying what those might be. SpiceJet has been in talks with lessors to take some of Jet's aircraft, a source has said. Indian rules cap foreign airline investment in domestic carriers at 49 percent, and the government is eager to see Jet remain with an Indian entity, sources have said. That narrows the list of potential investors, aviation financiers and leasing executives said. "It will be a humongous task for whoever comes in," one of the industry executives said.